Do you have any damaged or uneven walls in your home? If so, our interior painters can properly repair your damaged walls or ceilings by using a skim coating process. Skim coatings are a cost effective way to repair a wall without having to replace it entirely. The process involves carefully spreading multiple layers of joint compound on the damaged walls. Once the compound has dried, we gently smooth the walls by sanding off any rough areas. Concrete ceilings must be properly prepared to achieve a good final result. The surface must be clean of all dirt, grease, dust and sand. Concrete should cure for at least 60 days before a skim coat is applied. A concrete primer is then applied to allow good adherence of skim materials, according to the TM Pratt website. The primer smooth's the surface of the concrete, helps it resist mold and mildew growth, prevents cracking or peeling, and improves adhesion for surface compounds.Skim Coating is the process of applying a plaster or joint compound veneer to a wall or ceiling to cover imperfections and to achieve a "Level 5 Finish" (*see note at bottom). Existing roller texture - a thin layer of plaster will fill and smooth existing texture from previous paint finishes caused by roller marks, lines, sags, and excessive coats of paint. Following Wall repair - when walls are repaired, the repair will have smooth finish and will stand out against the previously painted surface which will have a roller texture. Following Wallpaper Removal - When wall covering is removed, there is often wall damage that needs to be smoothed. Skim coating will also serve to cover primed glue or primed wall covering, when removal is excessively difficult. New Sheetrock - Skim Coating new sheetrock will even the wallboard from tape lines and even the substrate when applying higher sheen paints such as eggshell or pearl finishes. Once the work of our interior painters is complete, your walls will look as good as new. 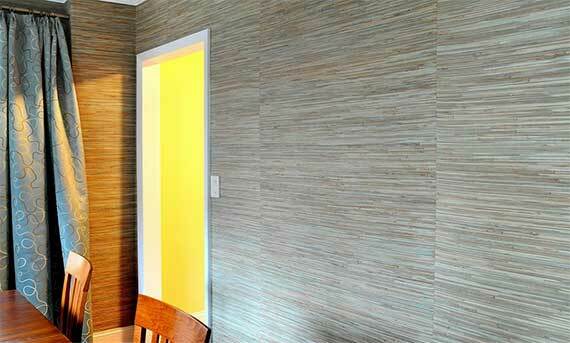 Call us for your FREE estimate and let NYC Interior Remodeling help you quickly and affordably beautify your home. *What is a Level 5 Finish? There are 3 levels of finish defined in AS/NZS2589 for the installation and finishing of plasterboard. These are named Level 3 to Level 5 inclusive, with Level 5 being the highest standard.